The cruise lasts approximately 3 hours. The cruise price also includes snacks and drinks. 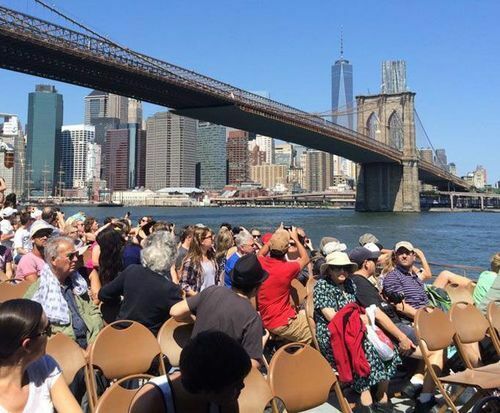 2.5 Hour Full Manhattan Island Cruise is no longer operating. 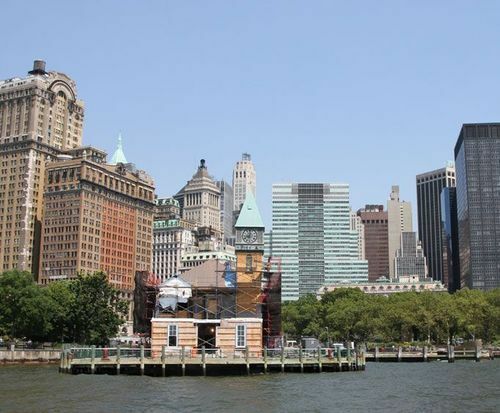 The 2.5 Hour Full Manhattan Island Cruise encompasses the entire island of Manhattan and provides one of the most unique looks at New York City. The tour will take you under famed bridges, around the island. In addition, you'll get the best view of the Manhattan skyline. The tour provides astounding views of over 25 of the most popular attractions in Manhattan, and does so with comfort in mind. 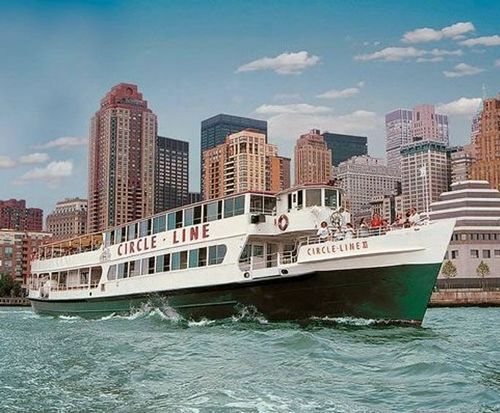 The Circle Line is one of the most famous tour lines in the city. Archibald Gracie Mansion is the official residence of the Mayor of the City of New York. Built in 1799, it is located in Carl Schurz Park, at East End Avenue and 88th Street in the Yorkville neighborhood of Manhattan. The mansion overlooks Hell Gate channel in the East River. Named after the High Bridge, the city's oldest standing bridge, Highbridge Park was assembled piecemeal between 1867 and the 1960s, with the bulk being acquired through condemnation from 1895 to 1901. Open vistas and an unusual geologic makeup greet visitors who stroll the pathways north and south through the park, while pedestrians and waterside cyclists on the greenways cherish its magnificent cliffs and large rock outcroppings. An oasis in the middle of New York City, Randall’s Island Park comprises most of an island in the East River, between East Harlem, the South Bronx and Astoria, Queens. The Island’s 480 acres once comprised two separate islands, Randall’s and Wards, which for hundreds of years were used not as a public park but as a location for a range of public facilities including a boys’ home, a hospital, and a home for civil war veterans. The Octagon built in 1834 is a historic octagonal building located at 888 Main Street on Roosevelt Island in New York City. It originally served as the main entrance to the New York City Lunatic Asylum which opened in 1841. After restoration, it has now been incorporated into a large apartment complex. Yankee Stadium is a stadium located in the South Bronx in New York City. It is the home ballpark for the New York Yankees, one of the city's Major League Baseball franchises. It opened at the beginning of the 2009 MLB season as a replacement for the team's previous home, the original Yankee Stadium, which opened in 1923 and closed in 2008. The new ballpark was constructed across the street, north-northeast of the 1923 Yankee Stadium, on the former site of Macombs Dam Park. Home of such Harlem Renaissance greats as Langston Hughes, Duke Ellington and Louis Armstrong, Harlem, Harlem is a must-visit for any New York City tourist. Known for exuberant gospel choirs, soul-food joints, and African markets and eateries in 116th Street’s “Little Senegal,” Harlem has more than its fair share of sites and sounds! Columbia University in the City of New York is an American private Ivy League research university located in the Morningside Heights neighborhood of Upper Manhattan in New York City. It is the oldest institution of higher learning in the State of New York, the fifth oldest in the United States, and one of the country's nine Colonial Colleges founded before the American Revolution. Built in 1880, the Little Red Lighthouse was moved in 1921 to Jeffrey’s Hook. The Lighthouse warned ships away from the shore as they made their way down the narrow channel between New York and New Jersey. Today, visitors climb a long, iron stair to the top of the tower, where the lantern room is again fitted with a working lens that blinks proudly at cargo barges and passenger ships sailing under the George Washington Bridge. Grant's Tomb is the final resting place of President Ulysses Simpson Grant and his wife, Julia. The tomb is the largest mausoleum in North America and it is a testament to a people's gratitude for the man who ended the bloodiest conflict in American history as Commanding General of the Union Army. The Brooklyn Bridge in New York City is one of the oldest suspension bridges in the United States. Completed in 1883, it connects the boroughs of Manhattan and Brooklyn by spanning the East River. It has a main span of 1,595.5 feet, and was the first steel-wire suspension bridge constructed. The Cloisters is a museum located in Fort Tryon Park in Upper Manhattan, New York City. It is a branch of the Metropolitan Museum of Art, used to exhibit the museum's extensive collection of art, architecture and artifacts from Medieval Europe. Situated on a hill overlooking the Hudson River, the Cloisters incorporates parts from five European abbeys which were disassembled and shipped to New York City, where, between 1934 and 1939, they were reconstructed and integrated together with new buildings in the medieval style designed by Charles Collens.